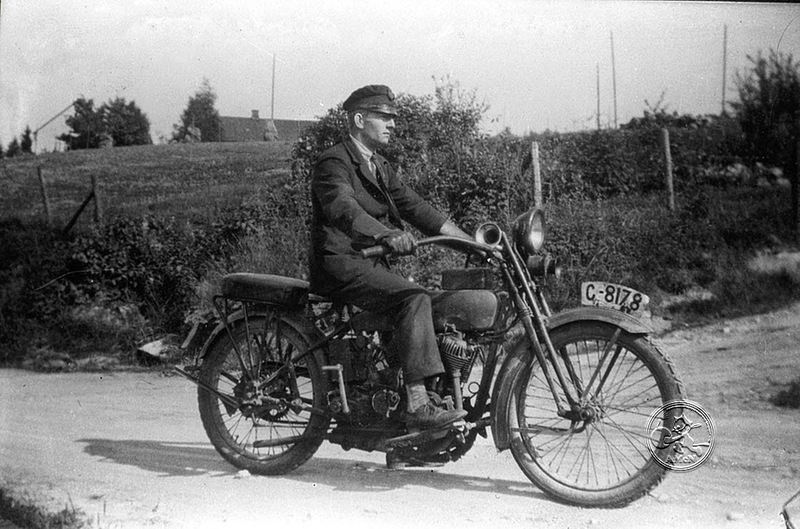 Another early twenties Harley from Akershus, hence the letter C on the registration plate. Even if this bike is an electrically equipped model, the owner have a ball horn mounted on his handlebars, they will always work, the Klaxon, ehhm, well that is not so sure. This rider is a gentleman, wearing suit and tie as well as summer riding gloves and a motoring hat with a hard to recognize label in front. My guess is the label is either NMK or KNA.